Today I’m pretty excited to show you what I’ve been up to this weekend. While browsing the Internet on Friday, I found out about this really cool australian initiative called Boomerang Bags. 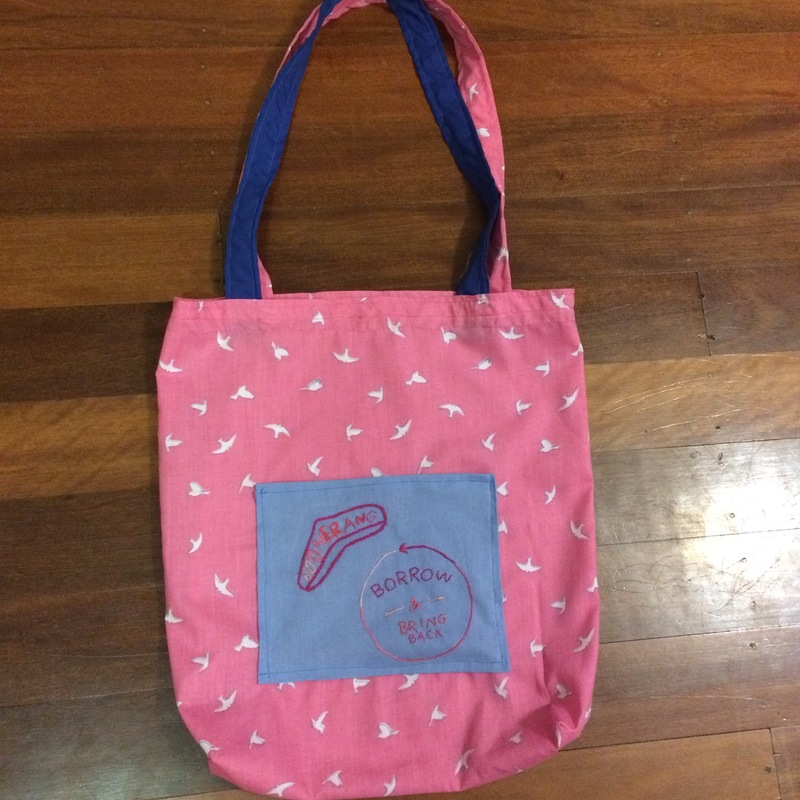 The goal is to reduce plastic bag usage in supermarkets in Australia, by providing local communities with free fabric bags, preferably made from scrap fabric. People who borrow the bags are then responsible for returning them or continuing to use them. The Boomerang Bags website has a pattern to make your very own fabric bag and that’s what I did over the weekend. Instead of stamping the logo on the pocket, I even embroidered it on. 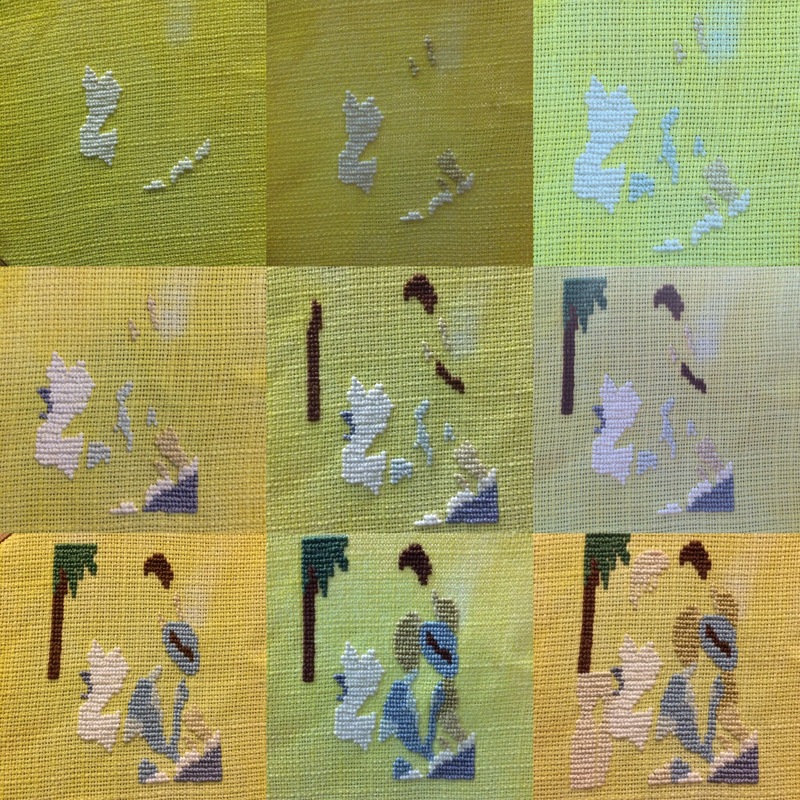 For the handles, the folding technique seemed very similar to making binding. I thought that I might as well give a go to making my own binding, for my quilted table centre, while I was at it. 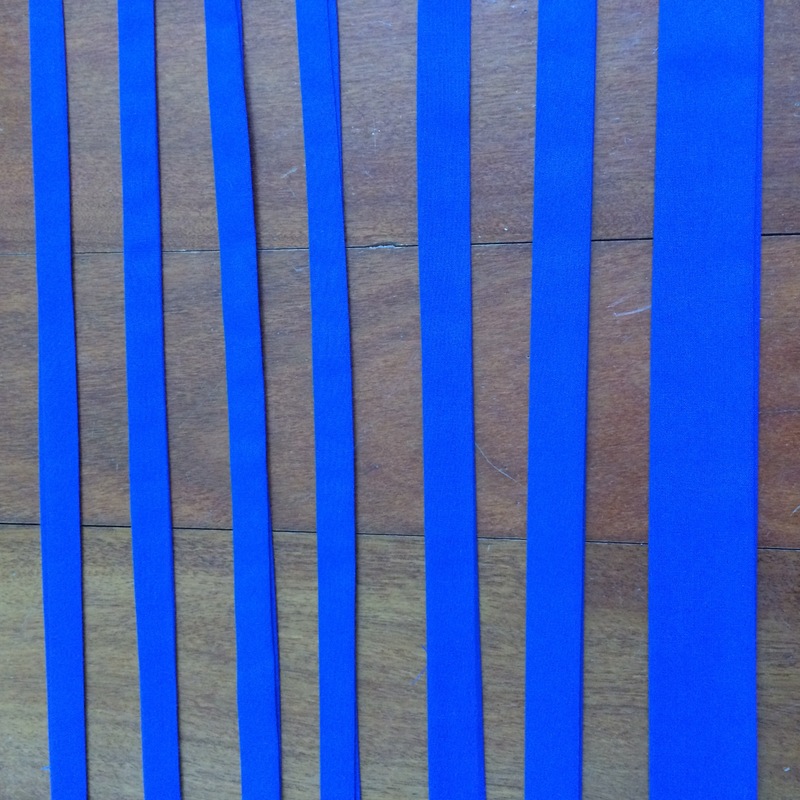 I have read a lot of great tips over the past few months from many amazing quilting bloggers, and it was actually pretty easy to make binding, I don’t know what I was so afraid of! I even made different sizes! Now I’m all ready to finish this table centre and to start something new. On my recent trip to Europe, I visited Amsterdam, and while getting lost through the maze of streets in Amsterdam centre, we stumbled upon this tiny looking yarn shop. I might have begged (only a little) to get in and browse for a while. Once inside, the shop is actually pretty long, and has yarn, so much yarn, yarn everywhere! The staff was super nice, we got chatting in no time and they were able to show me around the shop and explain what all the different yarns were. 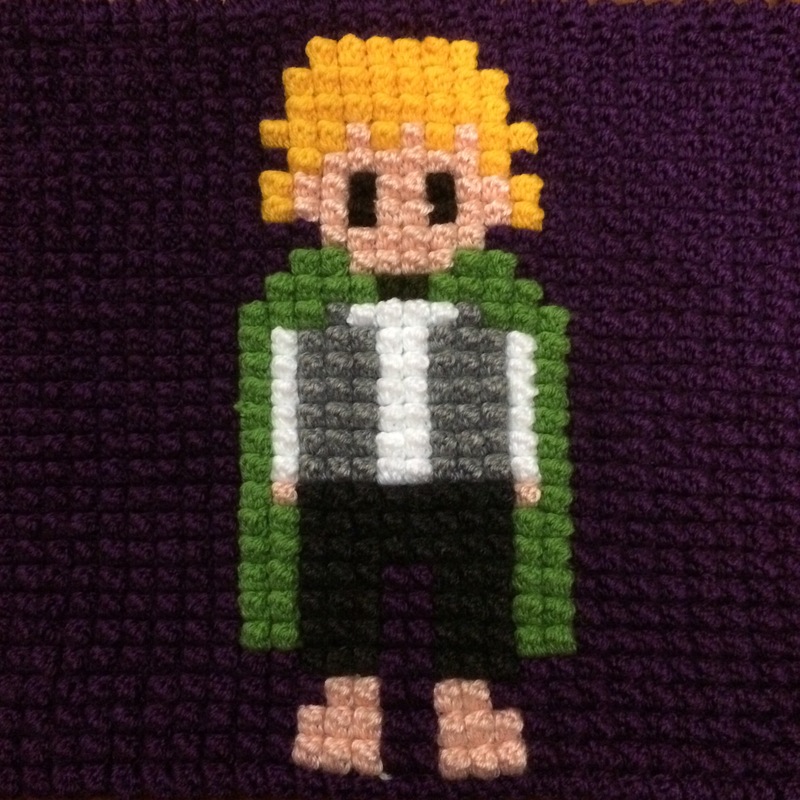 I was surprised to learn that you can buy yarn made of nettles, which is pretty awesome! They also had a beautiful range of hand-dyed yarn and a huge range of sock yarn. I wanted only a few skeins (my suitcase was already pretty full at that point) and the lady who was helping me around suggested Schoppel-Wolle sock yarn, as it is pretty resistant and they had a huge array of colours. She even showed me the socks we had cast on her needles, using that yarn. I asked my husband for help with choosing the colours and we came up with orange ombré and grey: a perfect match! I also bought a project bag with the name of the shop on it as a souvenir. While I was at it, I also acquired some circular needles, to knit my socks with. The lady was again so nice, she wanted to make sure I was buying sturdy ones that would last me a long time, and recommended against bamboo needles, even though they were selling them. Overall, I really loved this shop, although some of the fancier yarn was out of my price range. 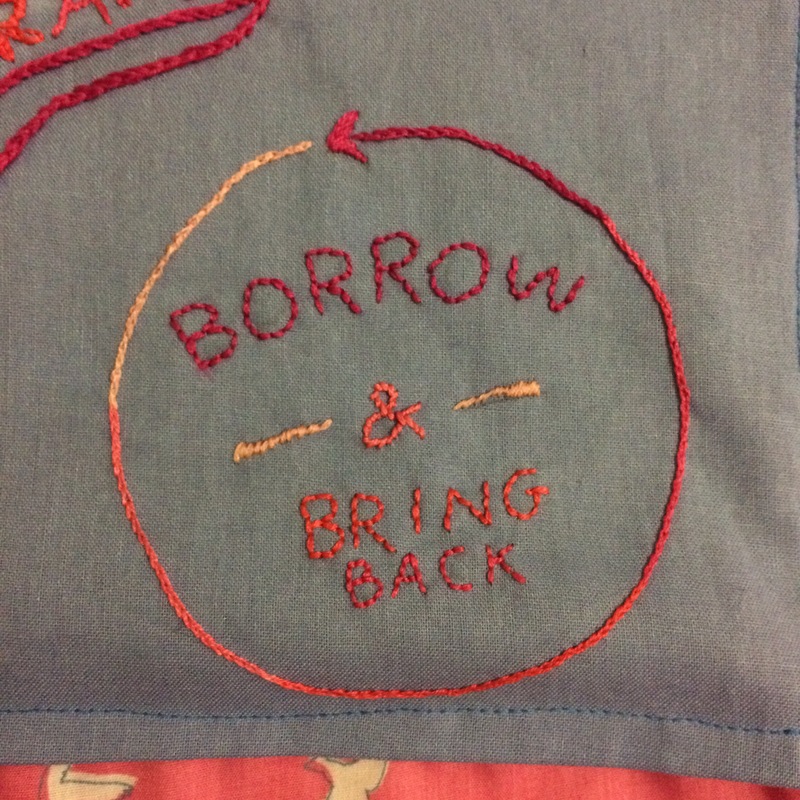 I totally appreciate that it is worth that much, with all the time spent dying and spinning it, but my wallet is a bit too empty at the moment 🙂 If you live near Amsterdam or visit, they host craft nights every Thursdays, which could be fun to go to. They also do online shopping on their website but they do have way more in their shop. 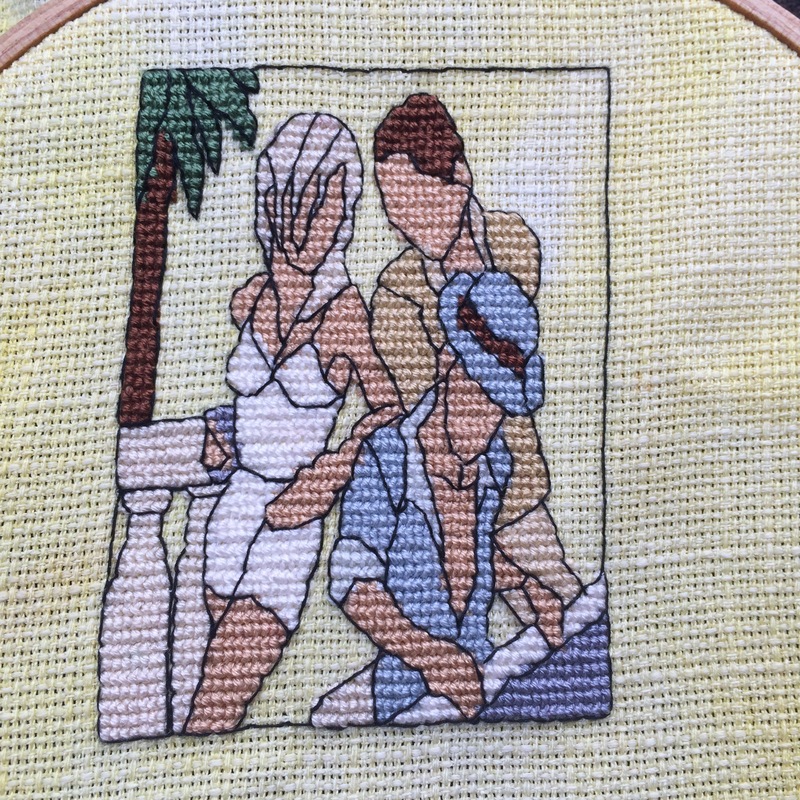 I know it is August but I’ve been really behind with my stitching in July, as we were on holidays, and I only just finished the July design from Helene et Mahelia. Isn’t that so cute? 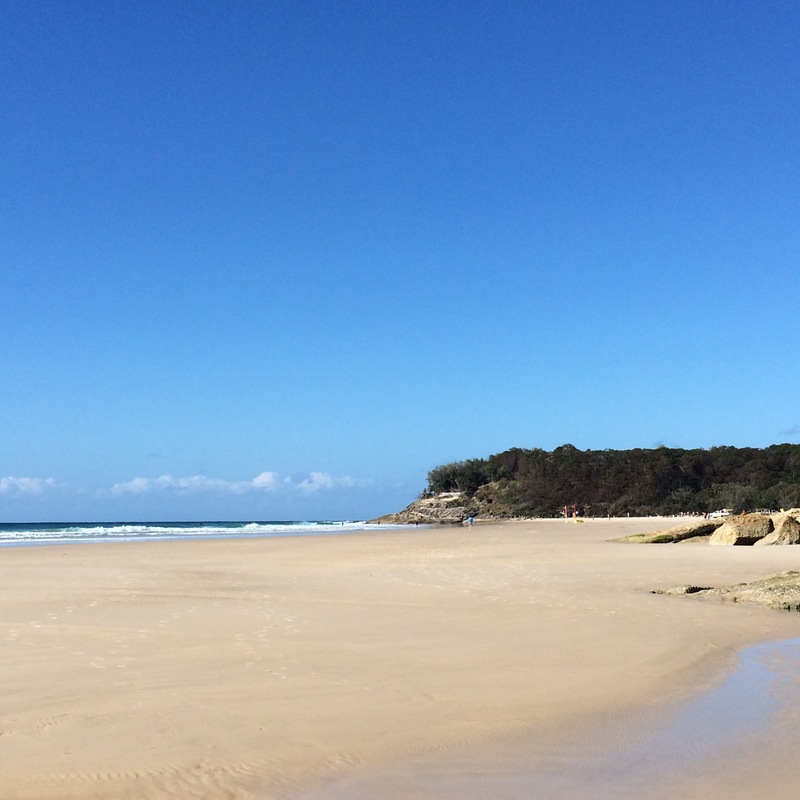 It made me dream of summer during our very windy Australian winter. 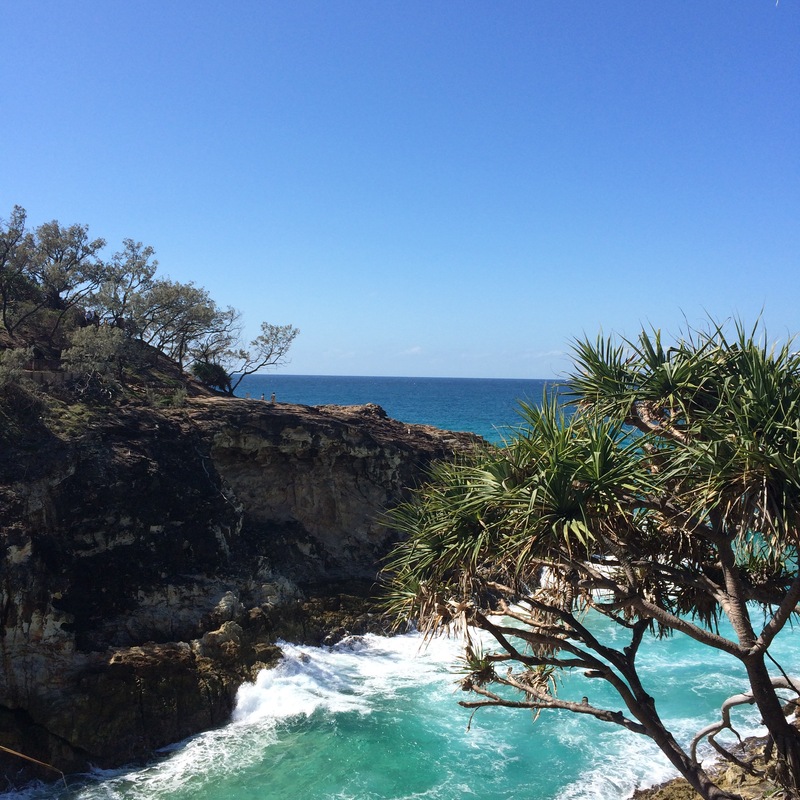 I have spent a great weekend tutoring on Stradbroke island, in Moreton Bay. We had such a great weather I felt really blessed. 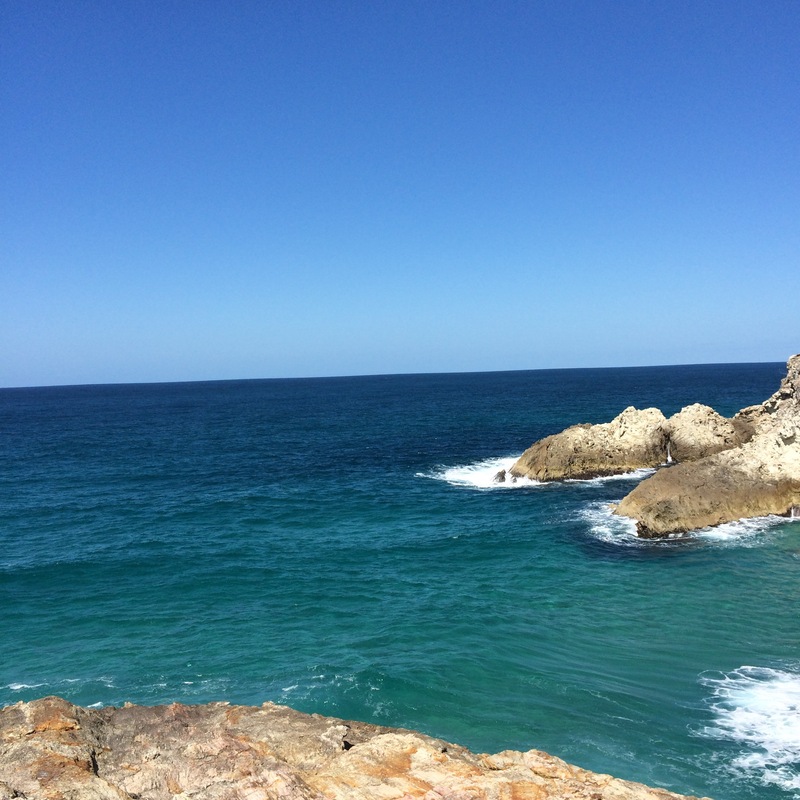 We even saw some whales! 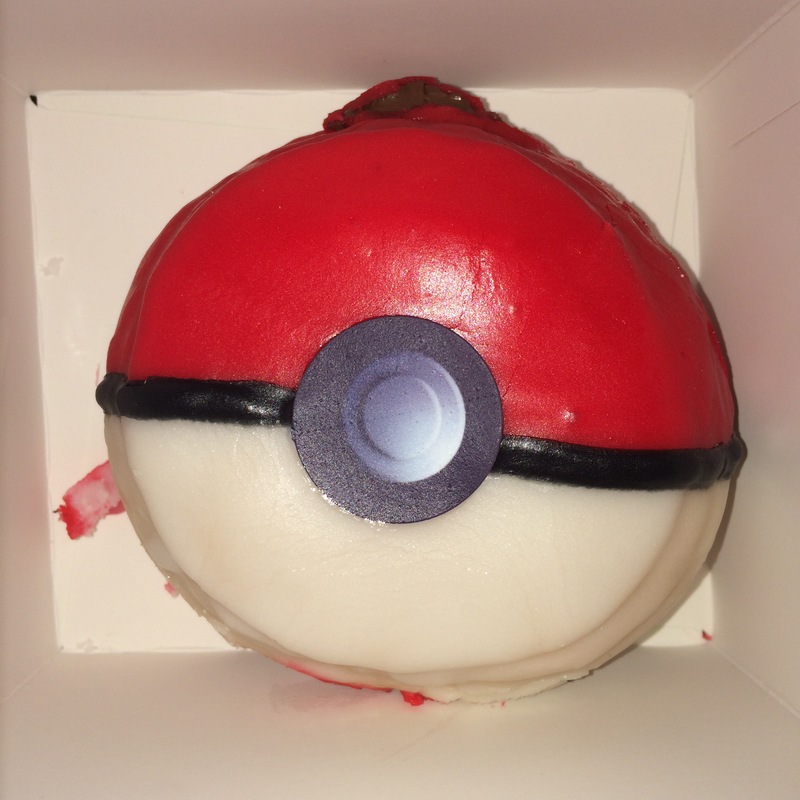 Also I wanted to share with you an awesome doughnut I had last week. It’s a pokeball! It was pretty good but I still prefer the ones filled completely with Nutella 🙂 yum! Here are steps 1-6 for the July SAL. 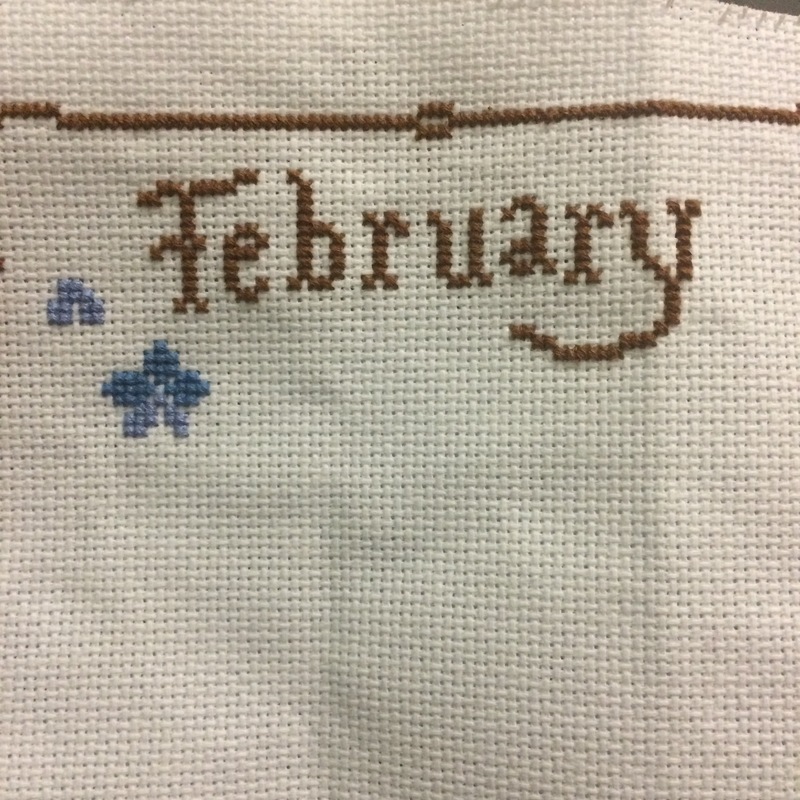 I’m late because I didn’t get any stitching done when I was in Europe (I forgot the first colour needed for the SAL!). Hopefully I’ll be able to catch up this month. 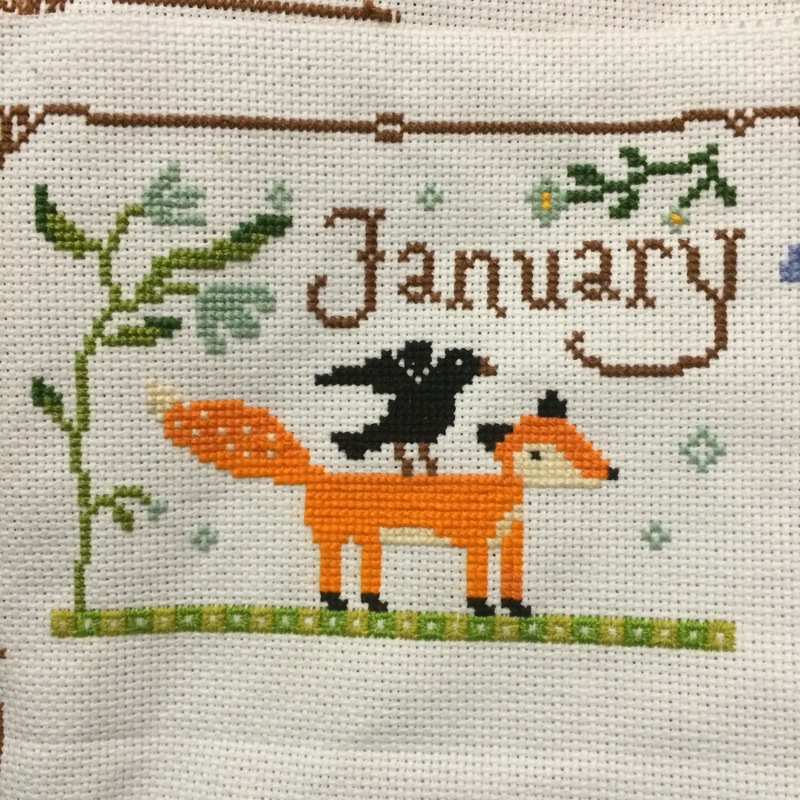 I’ve made some decent progress with my snowflower diaries calendar. 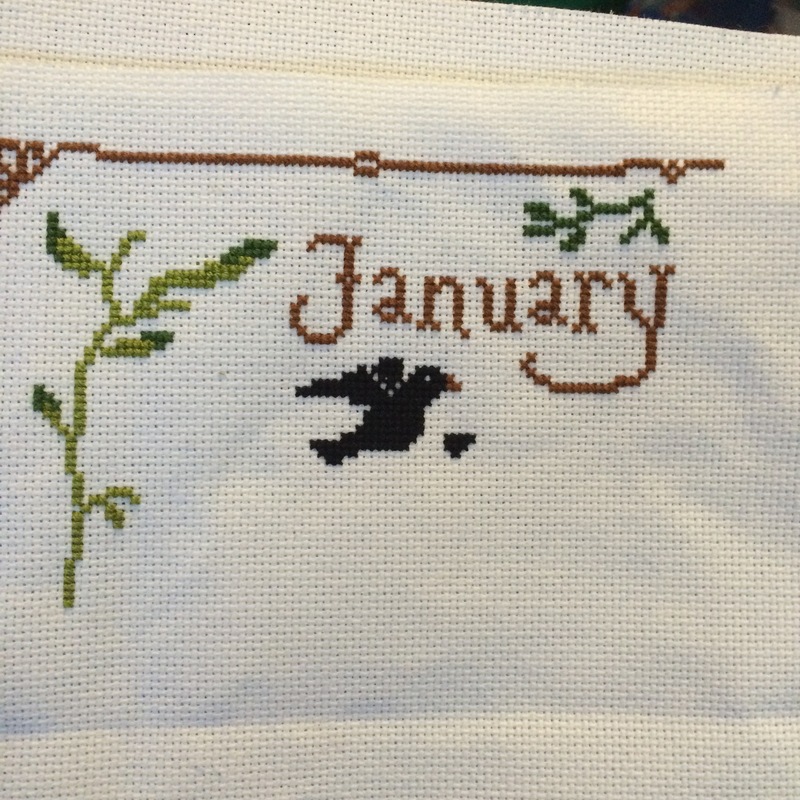 Last time I had just finished the crow for January. 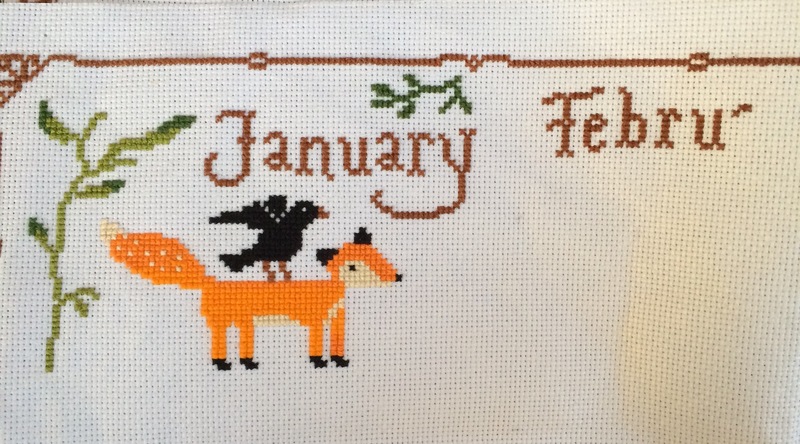 Since, I’ve added the fox (he is super cute) and I’ve started the writing for February. I think I’ll continue with the brown for a bit, trying to get as much border and writing as I can before doing the fun part: the cute designs. Today I want to share with you a project I did over the weekend. There was a birthday in my in-laws family and the birthday-lady just got a sewing machine. I thought that a perfect gift for her would be some sewing accessories. I got her a rotary cutter but I wanted something more. I found a really cool box of pins but still something was missing. Of courses! 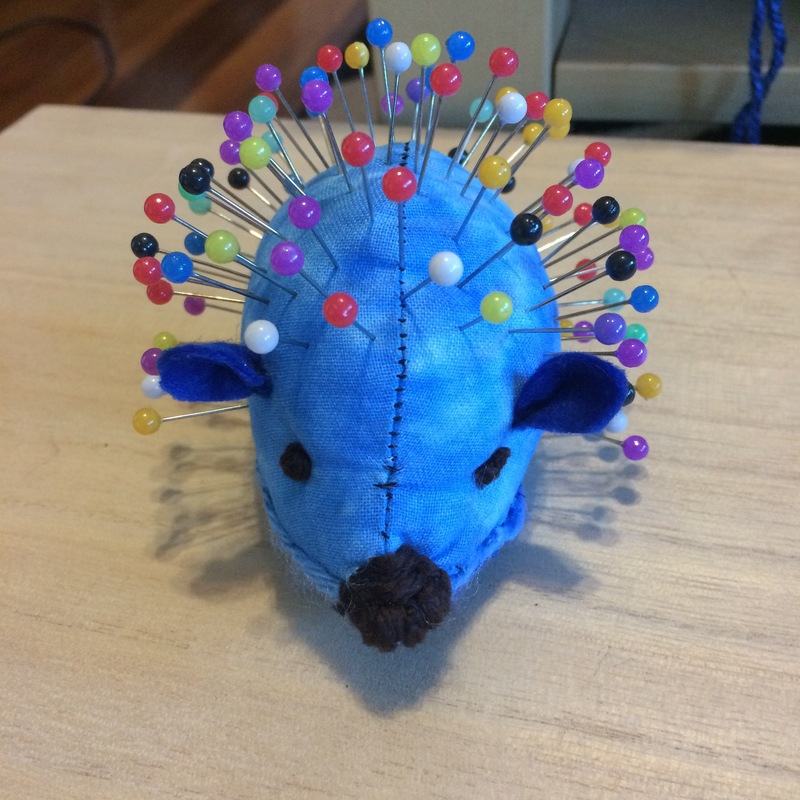 A pin holder! 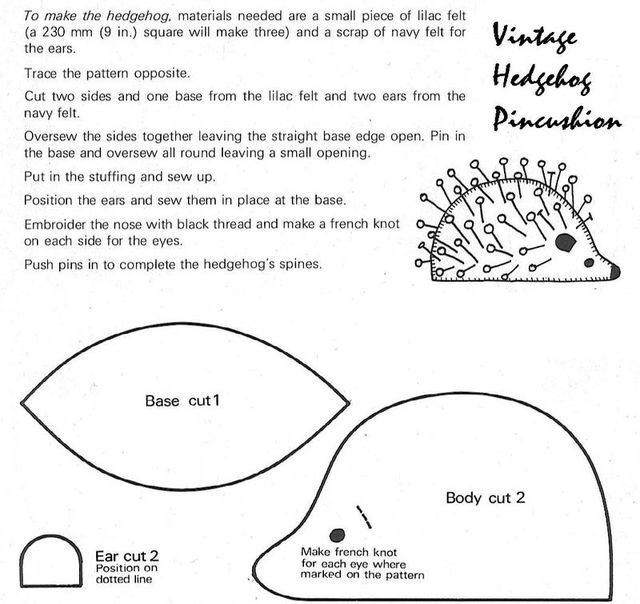 I found a really cute pattern for a hedgehog on Pinterest (sorry for no link up, I tried following the links but I couldn’t find where the pattern actually comes from). The pattern calls for felt but I decided to use regular fabric for the body and just to use felt for the ears. I also added a little yarn trim at the bottom of the hedgehog, between the main body and the base. And here it is! 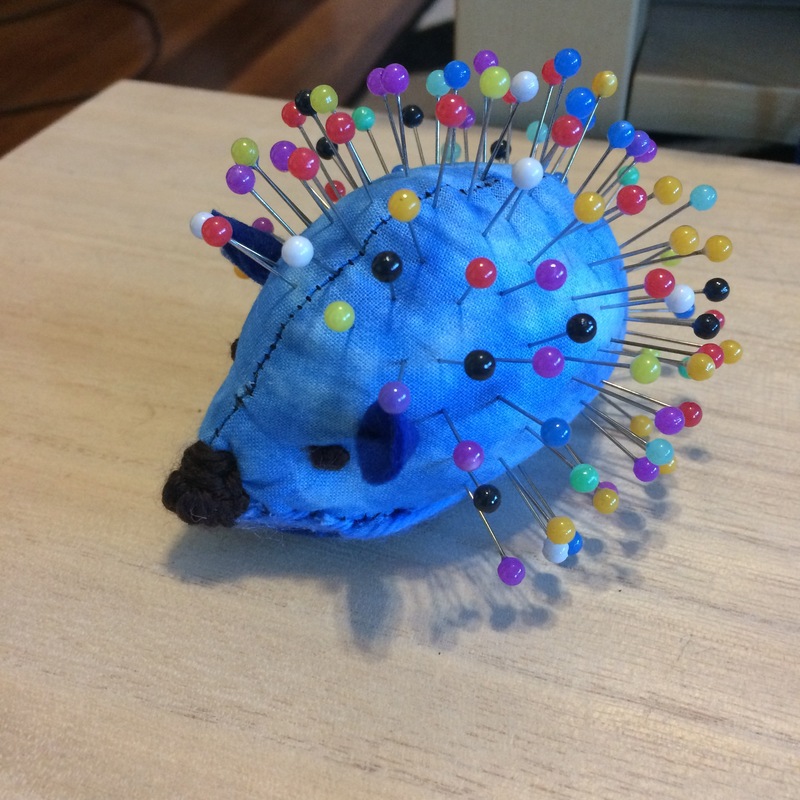 A cute little hedgehog ready to go to his new home! 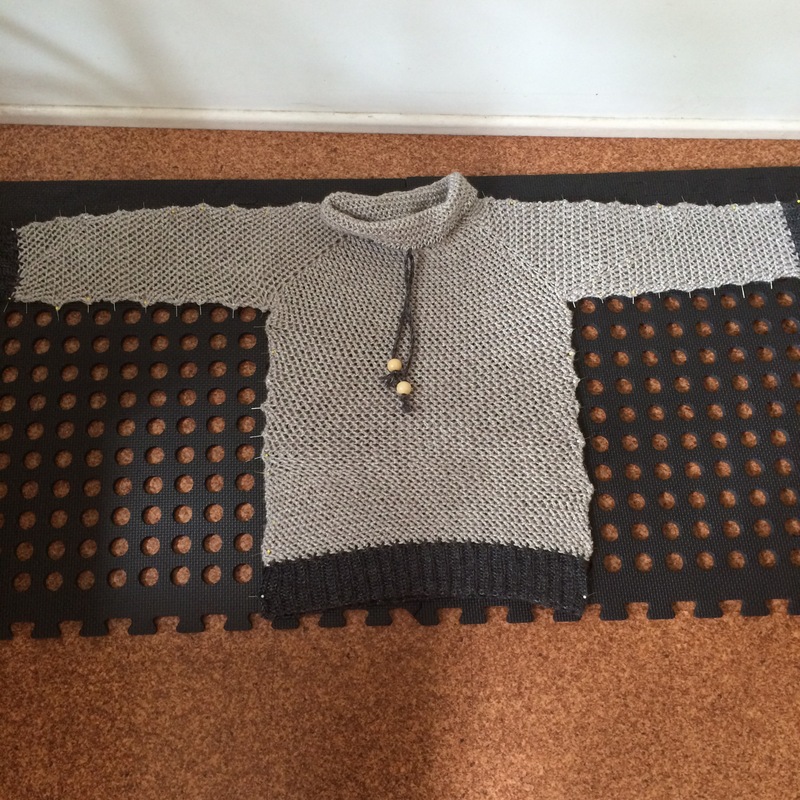 It’s all in the title, I’ve finished my crochet jumper! The pattern is really great and I might make more jumpers like that in the future. It worked up super fast and I really liked that there was no seam. 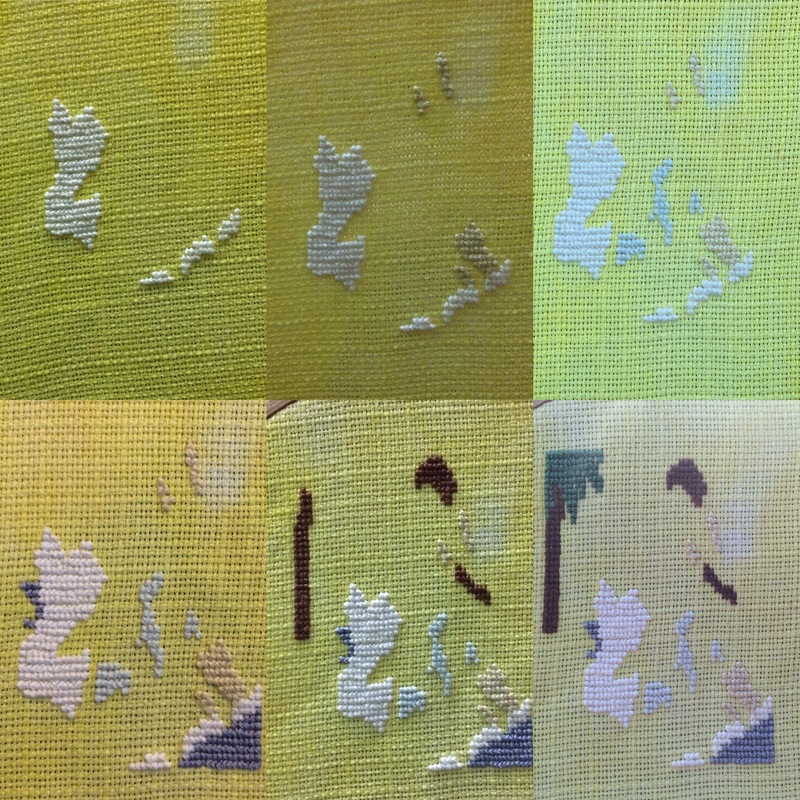 The only slight issue I had was that I stupidly decreased stitches without noticing ( I somehow missed the last stitch each round) but I was able to fix my mistake pretty well in the end. 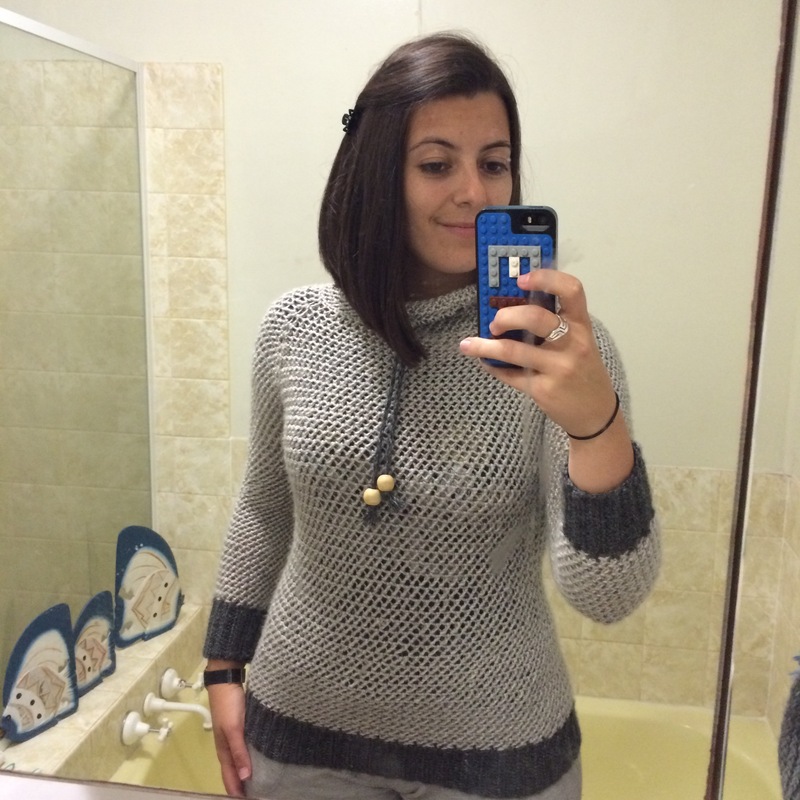 I blocked it during the day and wore it all tonight and it’s super comfy and warm, which is perfect for winter!